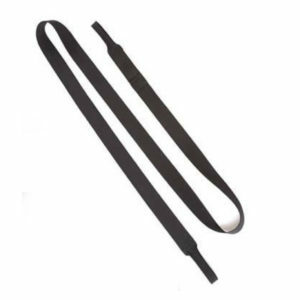 Suspension Strap – Designed to hang at 7’6”, for higher anchor points add extender straps as required. 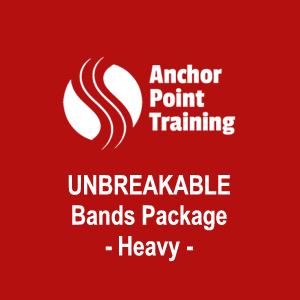 Heavy UNBREAKABLE Band – This band offers 20 – 60 lbs. of resistance, 8’ of elastic resistance covered in 22’ feet of fabric. 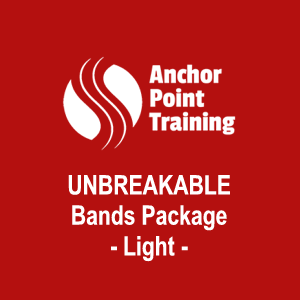 Light UNBREAKABLE Band – Features a very gradual change in resistance from 15- 30 lbs, 8’ of elastic resistance covered in 22’ feet of fabric. 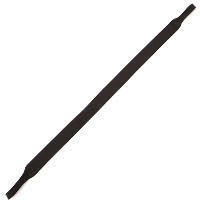 Black FIELD Handle – Strap is made of soft nylon webbing. Short handle is 30″ long. Long handle is 60“ long and has a double wide handle. 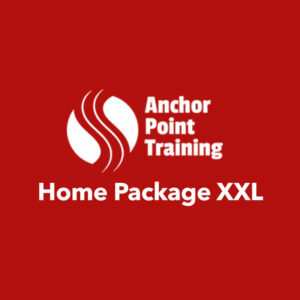 Also Includes APT Exercise and Workout Library.